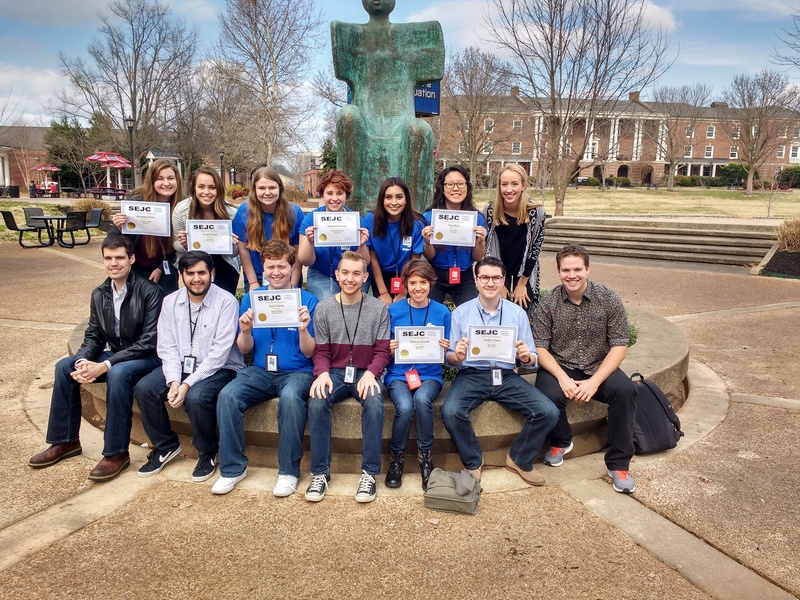 Thirteen Belmont journalism students recently competed in the Southeast Journalism Conference in Clarksville, Tennessee and placed second overall among 45 colleges and universities from eight states. The Vision also earned second for best television video for its sports program Bruin Blitz and ranked fourth for best college website. Editors for the Vision during the competition months were Courtney Martinez, Kirk Bado and Riley Wallace. Dorren Robinson is the faculty adviser for the Vision. The combined awards earned Belmont the second place spot in the championship, overall. Belmont journalism students placed second at last year’s competition in Atlanta, as well.